If It Walks Like a Duck and Quacks Like a Duck… Well, It Must be a Duck! This morning I spent some time in the forest with little to show for the effort. The whitetail deer just were not cooperating. It happens. 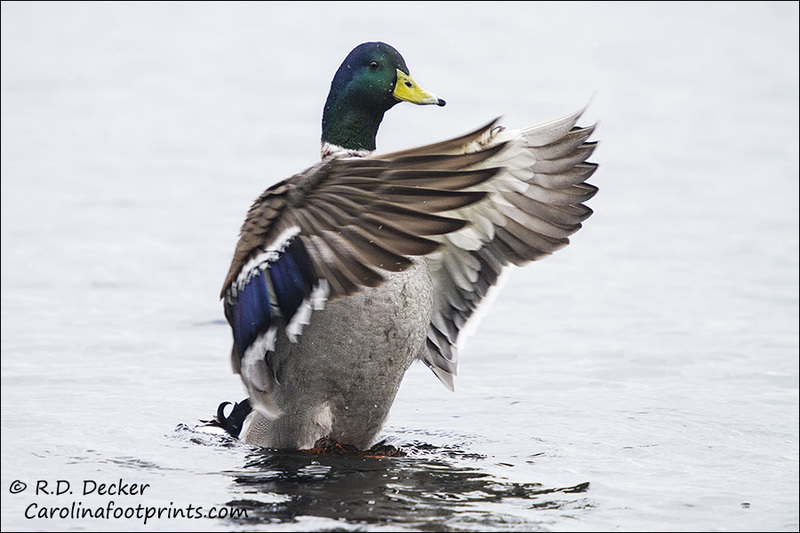 Seeing that my original plan wasn’t working out I made a shift in plans and headed to a spot on the river that almost always holds a few Mallard ducks. While this was almost like “shooting fish in a barrel,” it did provide a little tune-up for the approaching season. 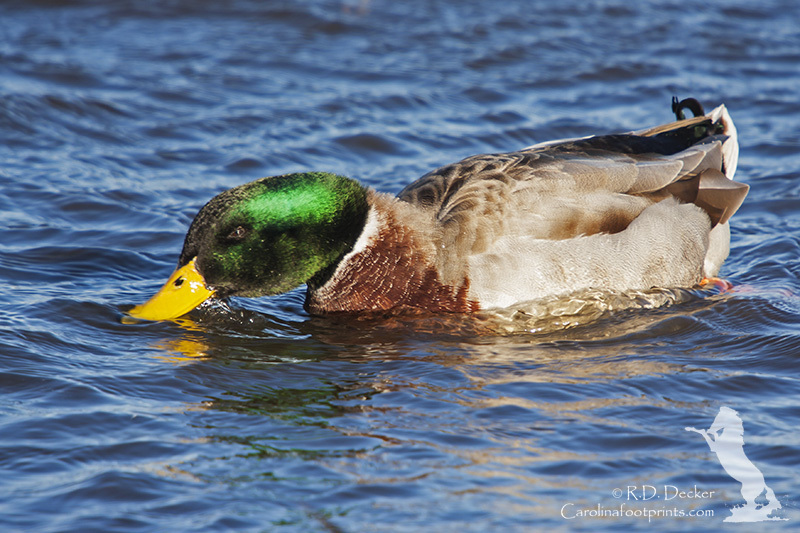 When shooting waterfowl it’s always a good idea to use a circular polarizing filter to cut down on reflections from the water. 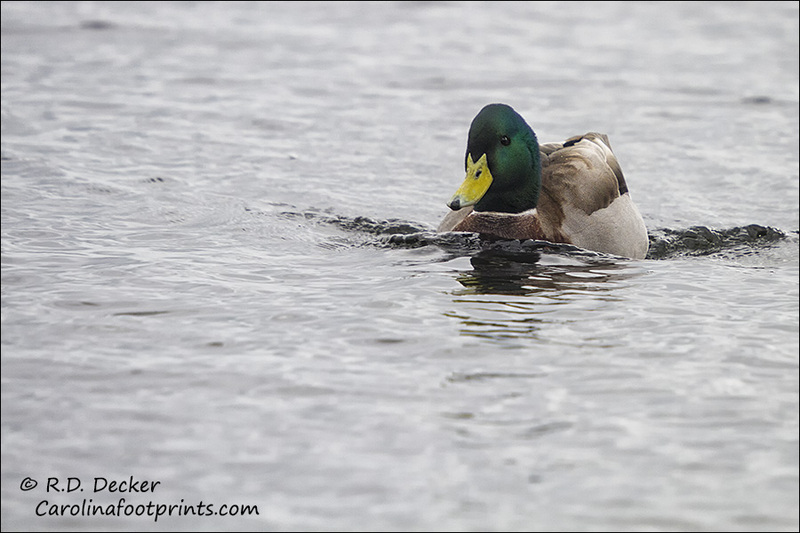 Of course, since I wasn’t planning on photographing ducks, I didn’t have the filter with me. Sometimes you just make do with what you have, apply your knowledge and skills and simply get to work. Plus there is a fairly decent polarization plug-in in the NIK suite. While I always prefer to get things right in the camera, the digital age gives us a lot of artistic options. 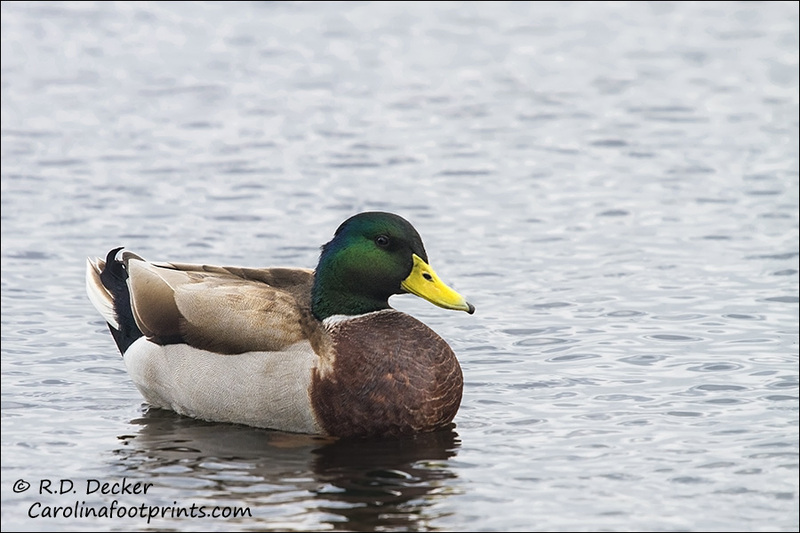 So without further delay or explanation, I give you Mallard ducks. 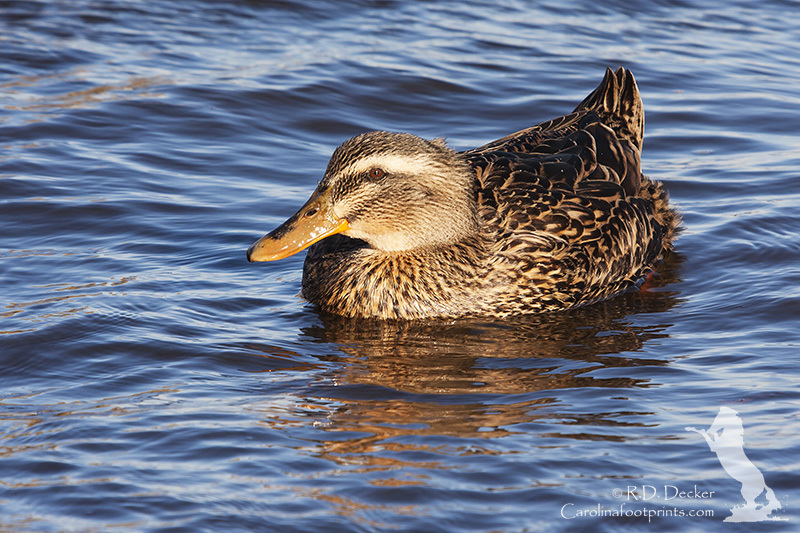 Cambridge Maryland has a spot on Oakly Street that is famous for being an easy spot to photograph ducks. 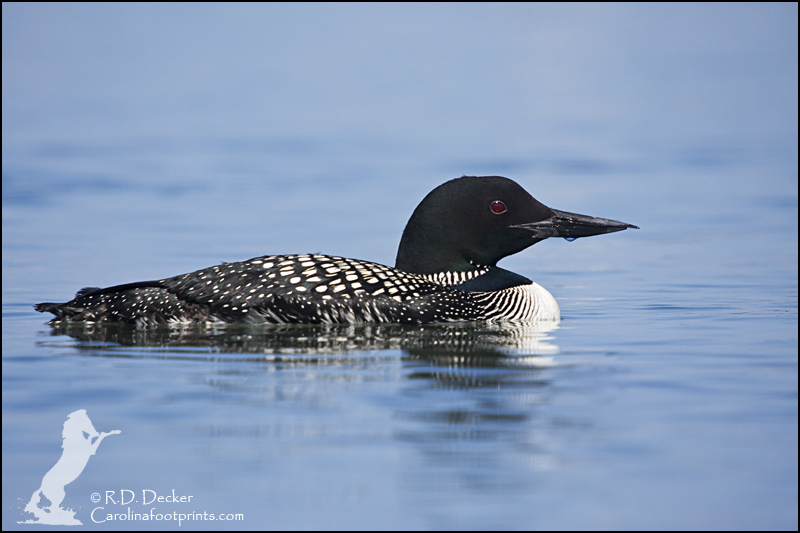 Every fall hundreds… probably thousands of photographers flock to the location to make waterfowl photos without the hassle of camo, blinds, calls and decoys. 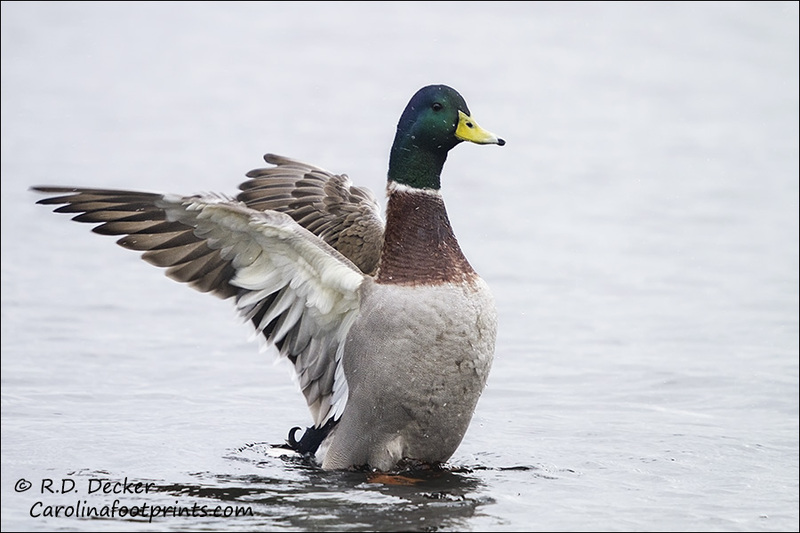 It truly is a matter of shooting “sitting ducks.” Not every photographer is going to want to invest the time and money to make a trip to Cambridge but would love an easy opportunity to make photos of ducks. If you live in eastern North Carolina there is a location that can provide you a similar experience. You aren’t likely to be photography Canvasbacks and Lesser Scaups like you would along Oakly street but if you’d be satisfied with Mallards and Coots this is a great place for you. 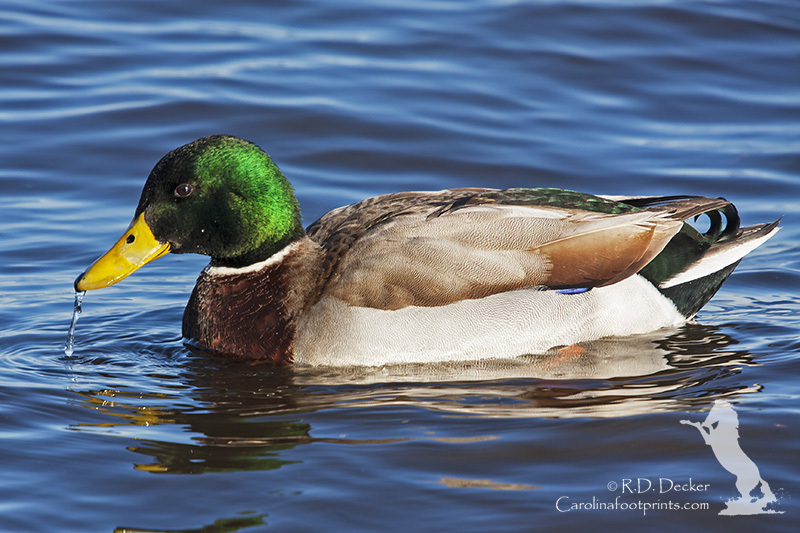 New Bern’s Union Point Park is a popular spot for the locals to come feed and watch the ducks. Just come to the park and head down to the end near the hotel. 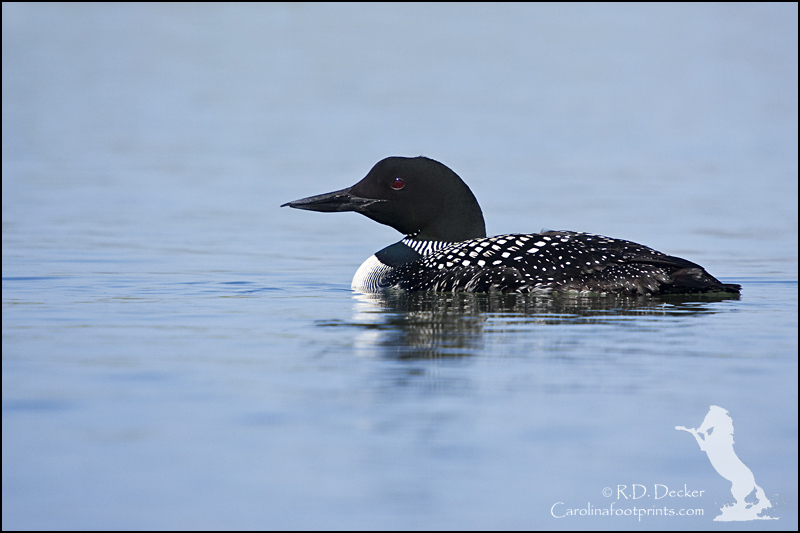 You’ll find plenty of camera friendly ducks, coots, gulls and pigeons. 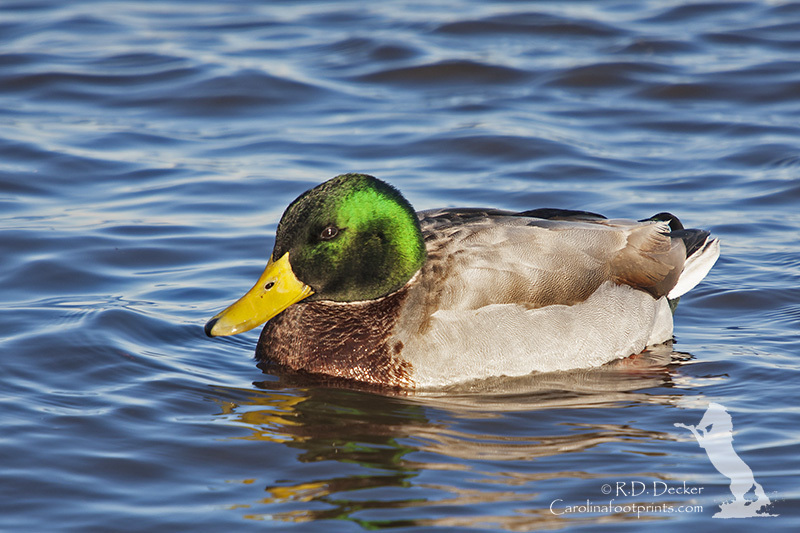 And you never really know, something more exotic than a Mallard my be hanging out when you visit. They’re not exactly pretty, not even cute, but they do make interesting photographic subjects. The morning sky was awash with golds, pinks, purples and blues as I unlashed my kayak from the top of the van. The brisk wind blowing from the north was cold and much faster than the weather report had predicted the night before. Still the tide was right and I had high hopes of finding some good photographic subjects. 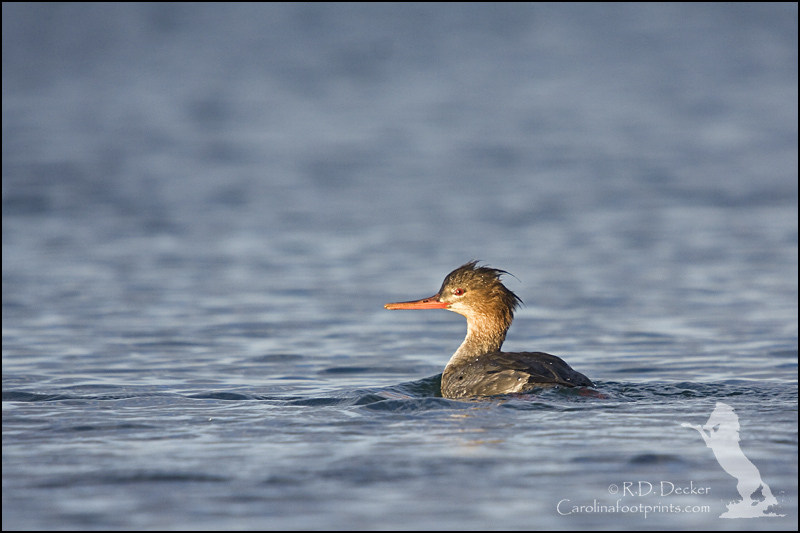 On many similar mornings the estuary has presented a virtual cornucopia of shorebirds to photograph. This morning, however, was different. 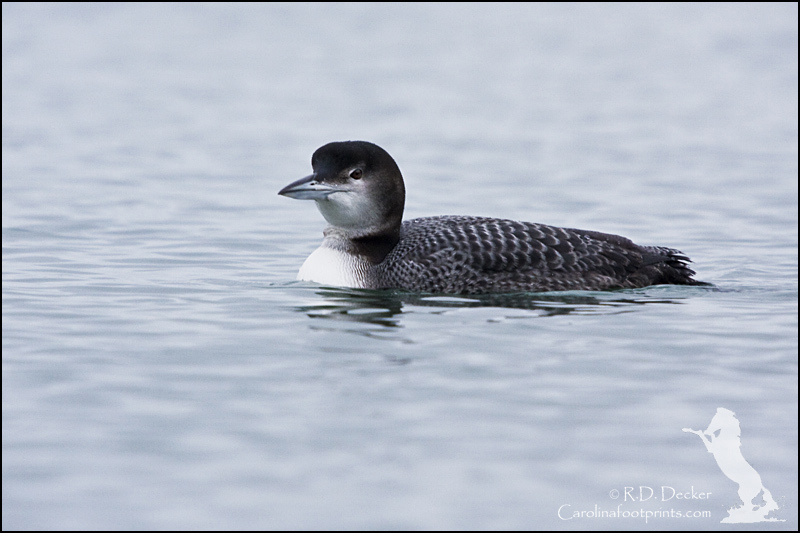 Perhaps it was due to the chill in the air, or the cold, hard north wind but the birds were more skittish than usual. Approaching close enough for a quality photograph was proving quite difficult. 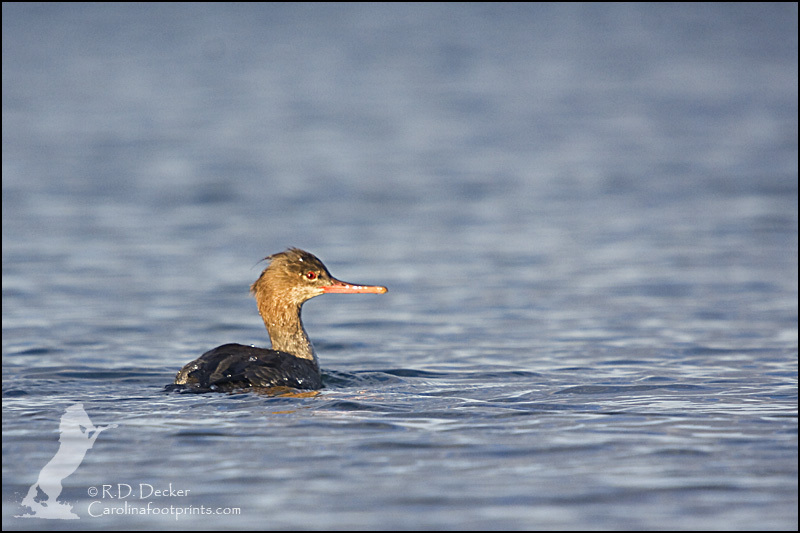 As luck would have it at one point a few Common Mergansers were swimming in front of me. 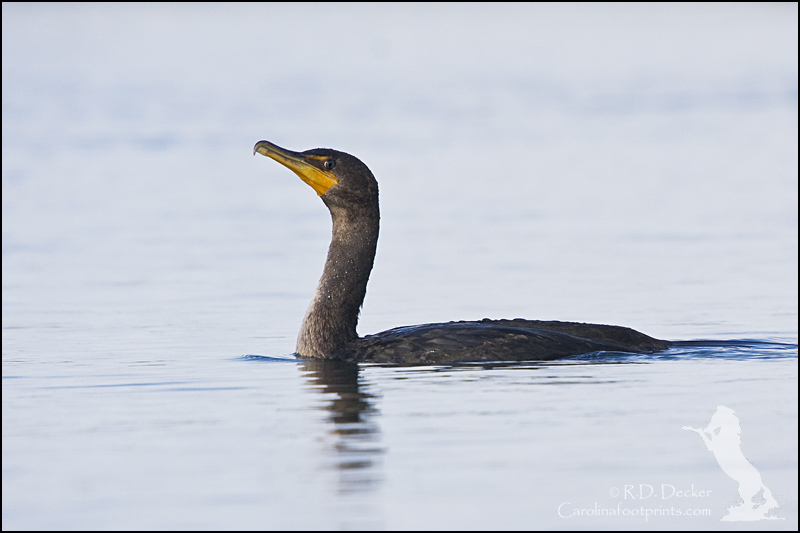 Normally very difficult to approach by kayak two or three of the birds surfaced from a dive just in front of my boat. I took advantage of the opportuninty to fire off a few shots. 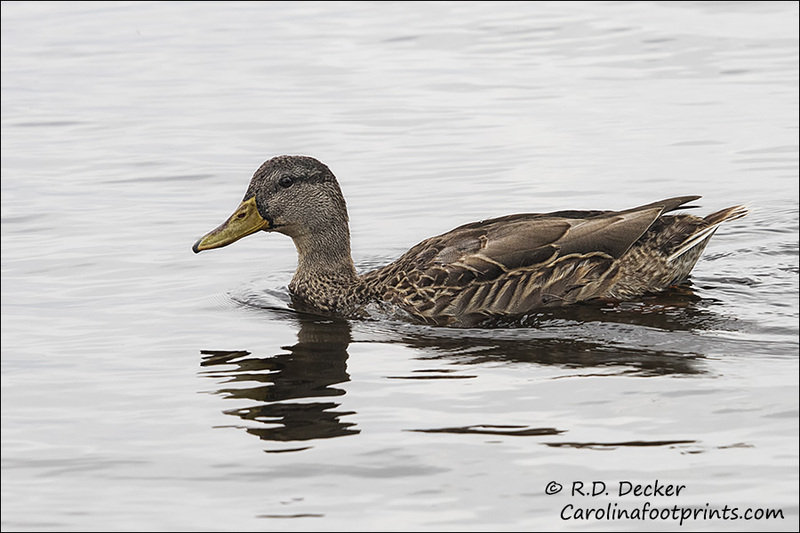 In my previous posts about Lake Mattamuskeet NWR I didn’t post any images of waterfowl… and lets be honest here what this location is best known for is waterfowl. 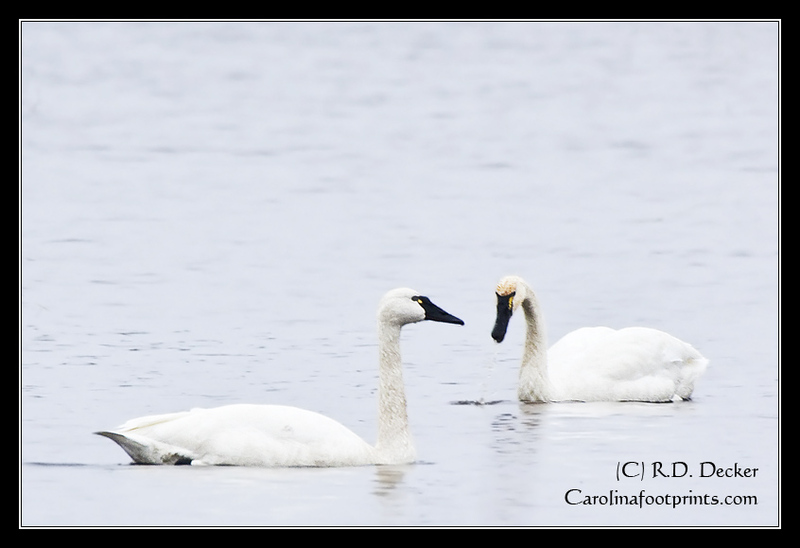 So not wanting to disappoint here are a few images of swans and ducks… a compilation of my last two trips to the refuge. 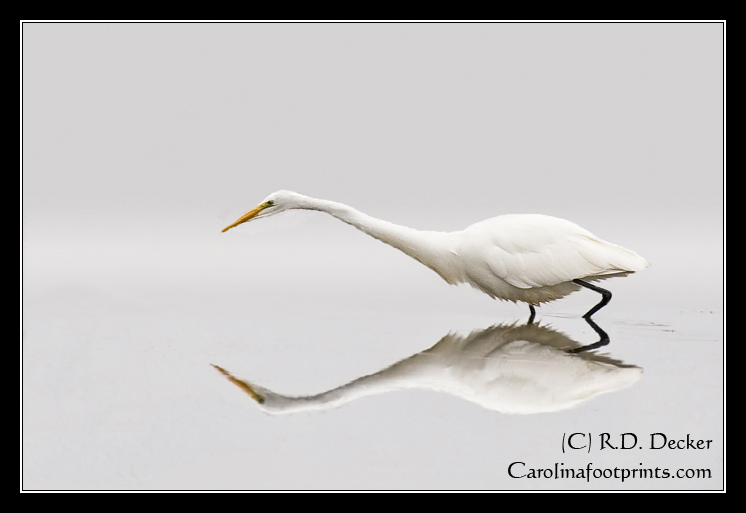 I thought I might change up things a bit by posting a series of images of one of my favorite wading birds, the Great Egret. 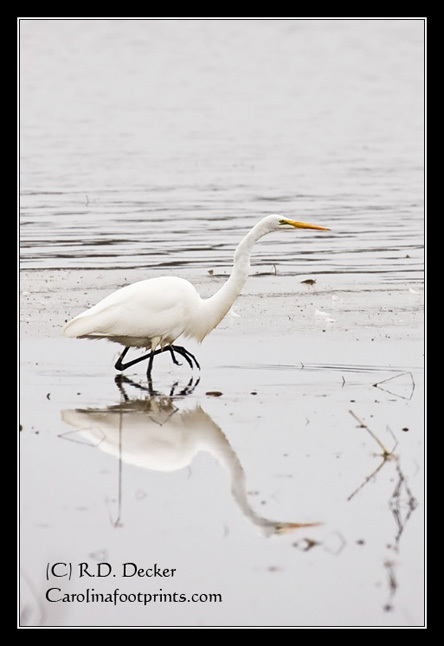 In the past the brid was known as the Great White Egret, Common Egret and even the Great White Heron. 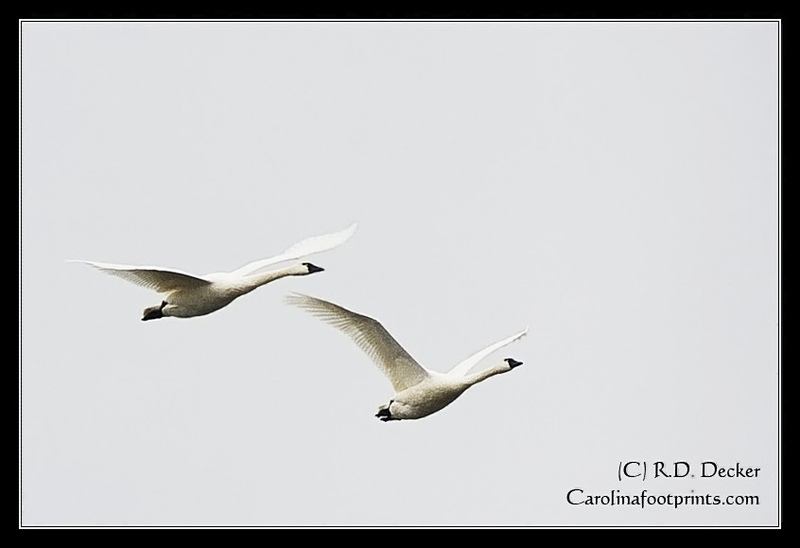 It is a common sight around the marshes, ponds and sounds of North Carolina. 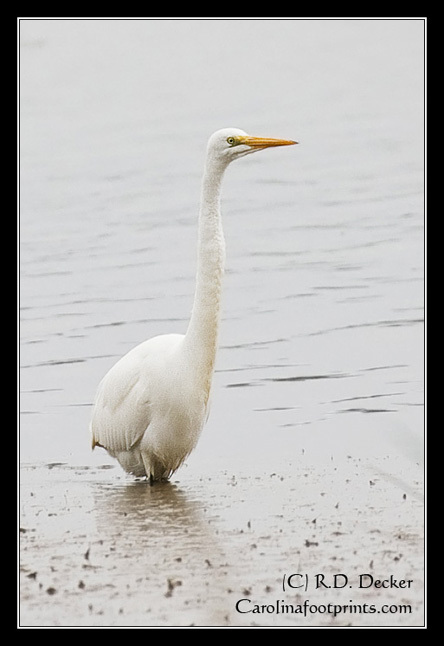 Standing 39″ tall with a 4 1/2 foot wingspan, it is a large white heron with a yellow bill and black legs. These birds feed in shallow waters primarily on fish and frogs. 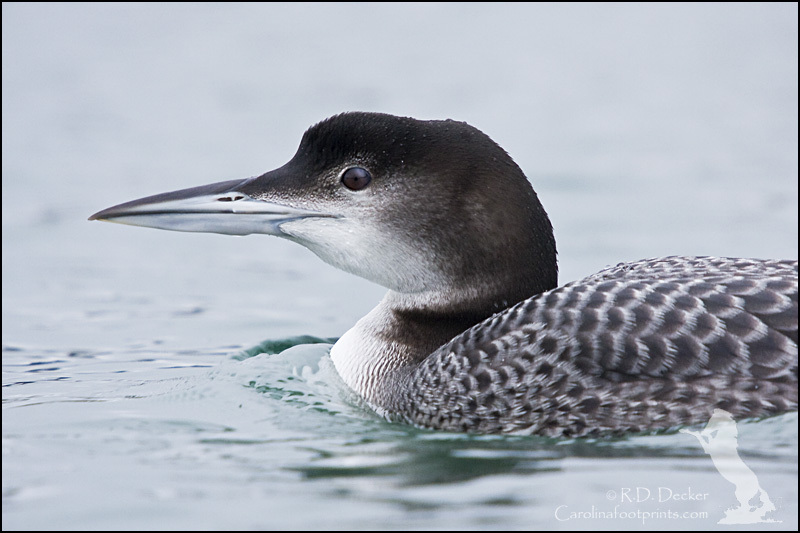 On land they may feed on insects, reptiles and small mammals. 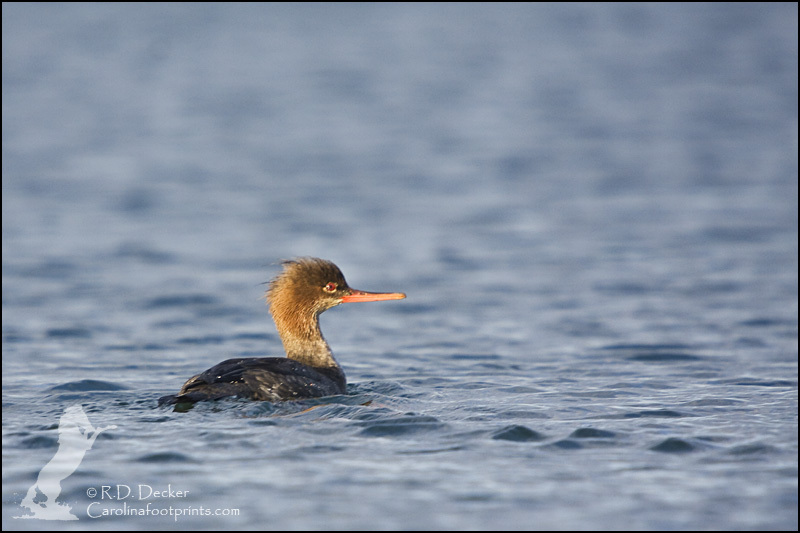 While now common in the southeast U.S. these birds were hunted to near extinction in the 1800s and early 1900s. 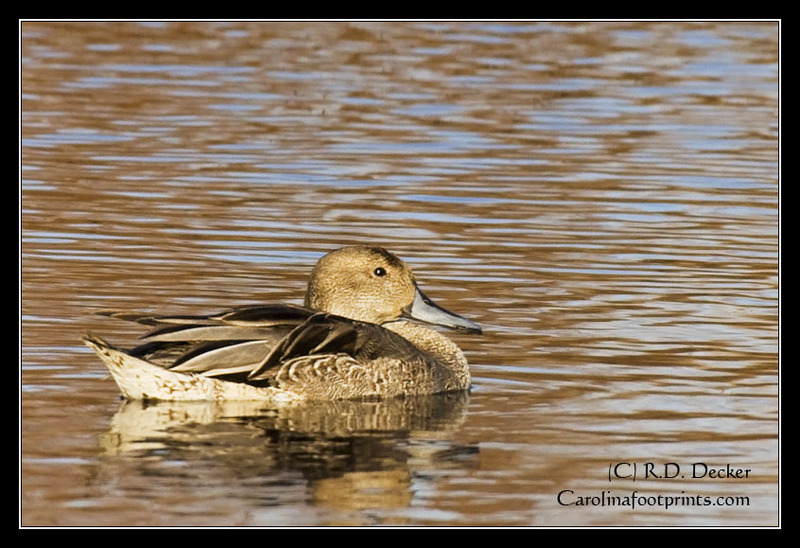 I took these shots at Lake Mattamuskeet National Wildlife Refuge, near Fairfield, NC. 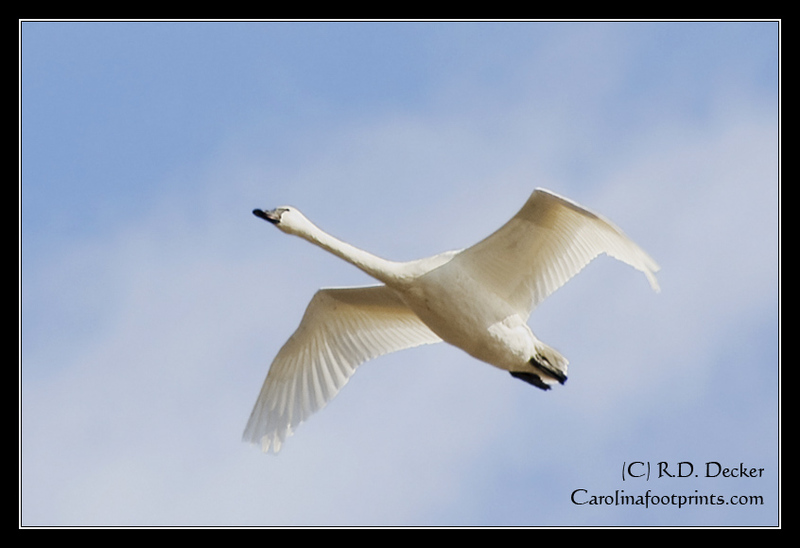 The lake is well known for attracting tens of thousands of Tundra Swans every winter. 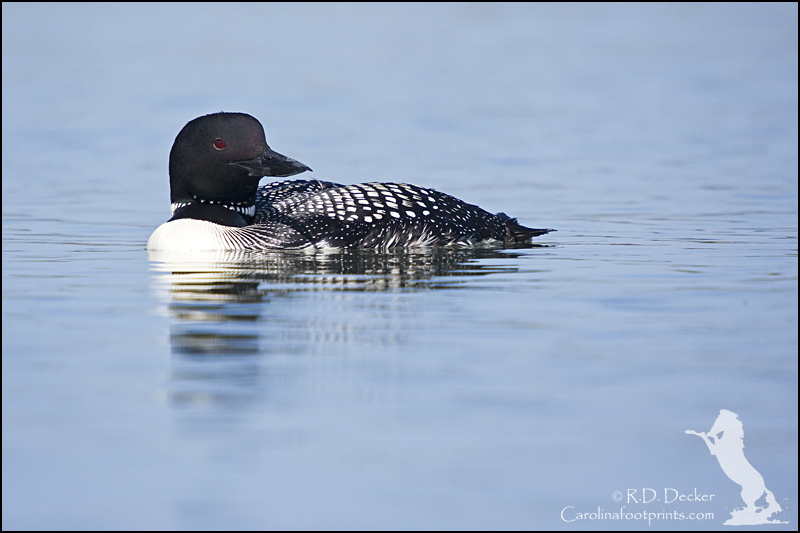 The refuge attracts a wild array of other waterfowl, shore birds, raptors and song birds. On this particular day I observed both Great and Snowy Egret, Great Blue Heron, Tundra Swan, Coot, Canadian Geese, Bald Eagle, Comorants, American Kestrel and a variety of song birds. 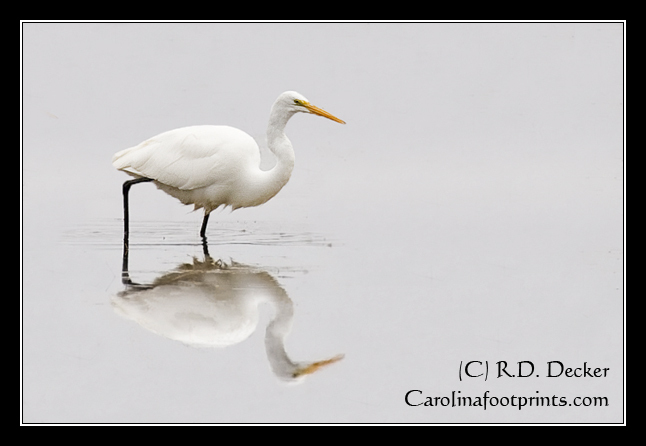 The causeway, NC Highway 94, provides some excllent viewing opportunities of the wildlife at this lake. There is a road that passes through the wildlife refuge that may also allow some looks at various birds on the property. 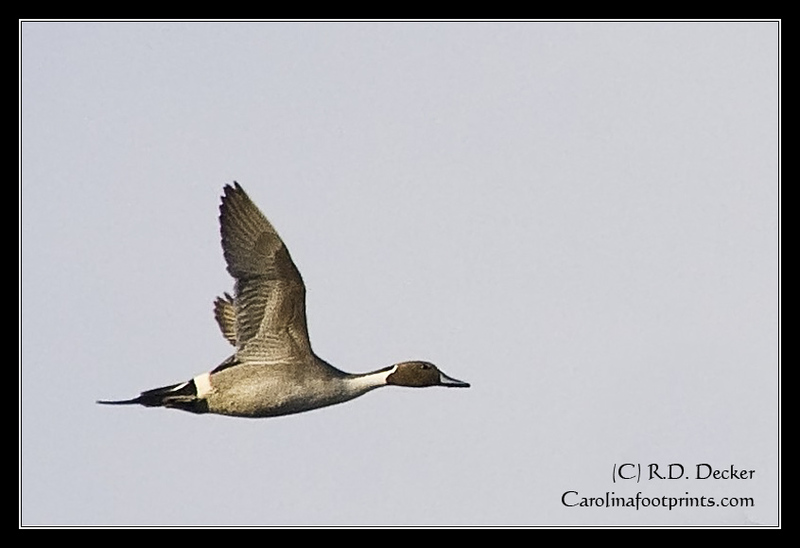 Be aware that portions of the refuge are closed to the public during the fall/winter and there is waterfowl hunting allowed in the refuge by permit. 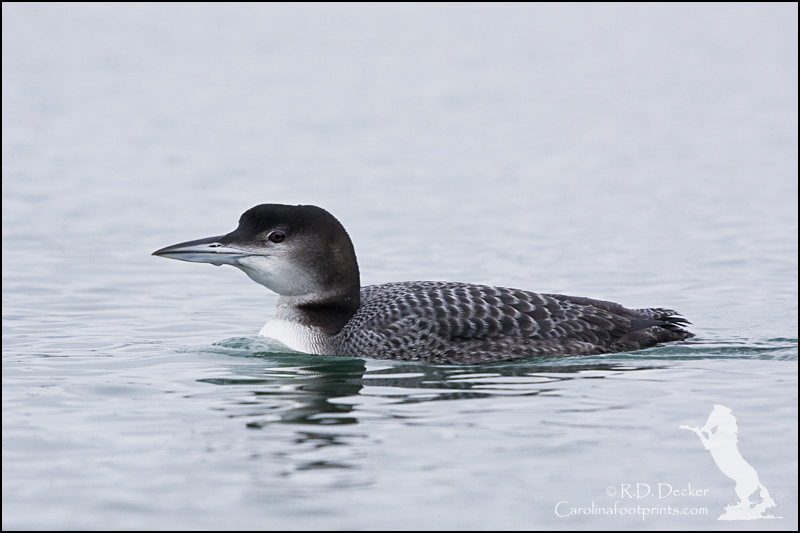 Casual viewers are best advised to stick to the causeway and main access roads for wildlife observation.